I recently returned from the America’s Small Business Development Center’s annual conference in Washington, D.C. I had the opportunity to attend a workshop at the United States Patent and Trademark Office. Experts from the Global Intellectual Property Academy and Office of Governmental Affairs provided a “top 5” list that captures common international intellectual property issues affecting U.S. small businesses. Below, is a brief summary of that list. Do NOT protect ideas, only the expression of ideas. Are a bundle of rights, i.e. make copies, make changes to the work etc. Protection is automatic, BUT registration with the U.S. Copyright Office provides significant advantages. A business can help to protect the copyright in its works thru watermarking its work, using a copyright notice etc. Are “territorial” meaning trademark rights in the U.S. do not automatically confer trademark rights in other countries. Should be registered in the U.S. first. A USPTO trademark application/registration can also be helpful in obtaining a registration in foreign countries. Consider translations and/or transliterations when you are registering abroad. Businesses often fail to consider “domain names” in conducting their trademark searches. Businesses often fail to develop a strategy for their domain names, even where they have a strategy for their trademarks. Domain name registration may be defensive, i.e. to prevent cybersquatting. But also may be proactive, i.e. reserving a domain name in a ccTLD, e.g., .cn, for eventual expansion to China including use of a local language website. The Internet Corporation for Names and Numbers (ICANN) administers domain names in the generic top-level domains. Information about domain names may be found at ICANN.org. The World Intellectual Property Organization (WIPO) also had useful information. Any confidential business information which provides an enterprise a competitive edge may be considered a trade secret. State and Federal laws protect trade secrets and may be enforced both criminally and civilly. Trade secrets can be held in perpetuity. A business protects a trade secret by keeping it secret! It must have commercial value because it is a secret. A trade secret can be lawfully reverse engineered; the ease with which an invention could be reverse engineered must be considered in deciding whether to pursue patent protection. International Trade Secret protection and enforcement varies from country to country. Use a competent IP attorney when utilizing your trade secrets in other countries. Overwhelmed? Don’t be. 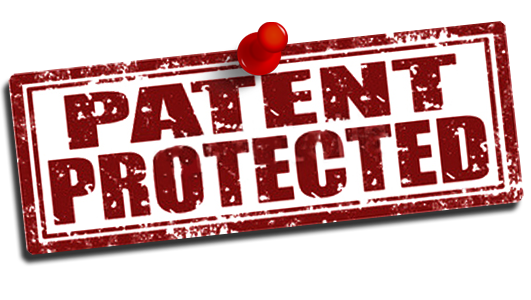 The U.S. Patent and Trademark Office wants your small business to be protected! They have immense resources on the web. Please reach out to me for more information and I will be happy to assist!